The tireless bee has fascinated man for centuries. Its lifestyle is puzzling in its complexity yet amazing in its sense of orderliness. Even more astonishing are the rich sources of nourishment and substances with medicinal properties that are produced as a result of the ingenious organization of the hive. 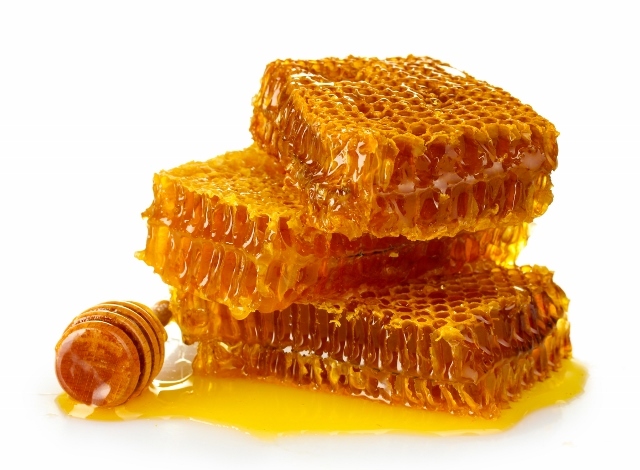 Honey of course, is the best known product from the hive and has been valued for ages. It is manufactured from the nectar of flowers and has all the vitamins, minerals and enzymes that make it a nourishing food. The glucose, fructose and sucrose in honey aid oxygen metabolism and tissue building, restore vitality and vigour. Since it is a predigested sugar, honey is immediately absorbed into the bloodstream. Honey has been shown effective in the treatment of wounds, diseases of the upper respiratory tract, liver problems, colds, lung trouble and facilitation of digestion. Royal jelly is the special food that is only fed to the queen bee throughout her lifetime. For the first 3 days, all bees are fed this potent food. Thereafter, only the queen bee is allowed to consume this 'bee milk'. It is produced by the nursing bee which first chews up pollen (without swallowing it). This mush is then mixed with secretions from two glands located in the head of the nursing bee. They are the mandibular gland which secretes an opaque white organic acid, 10 hydroxyl-2-decenoic acid, which has bacterial preventive properties and therefore acts as a preservative. The second is the hypopharyngeal gland which produces a secretion that is translucent in appearance, is proteinaceous in nature and contains vast amounts of the B group of vitamins. Since the queen bee comes from an egg identical to an ordinary bee, royal jelly has been isolated as the sole factor responsible for her growth, fecundity and longevity. She is 1.5 times larger than the ordinary bee and lives for 4-5 years as compared to the ordinary bee's lifespan of 40-50 days. The queen bee is also capable of laying some 2,000 eggs daily. It is no wonder that this 'bee milk' is so unique and is one of the most nutritious natural foods ever to be discovered by man. Royal jelly deteriorates very quickly once it is removed from the queen cell where it is stored in the hive. Once collected, it must be frozen within minutes. 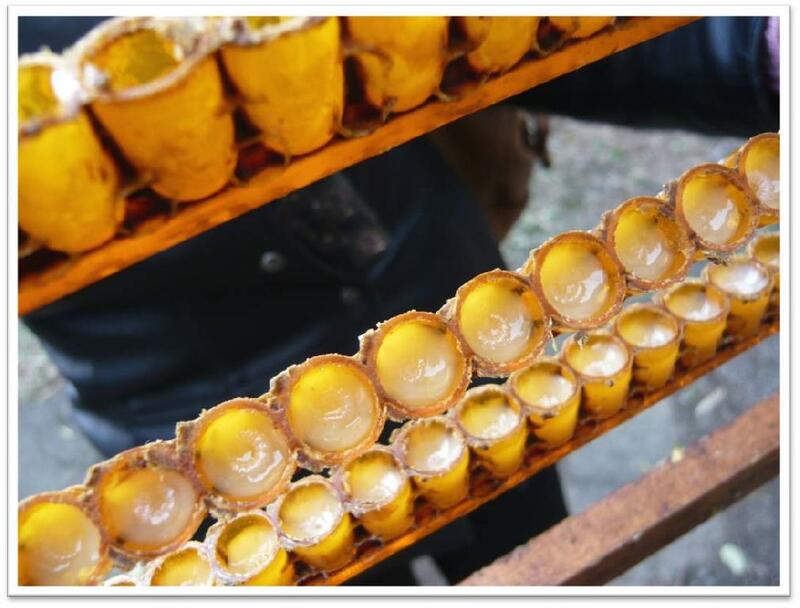 At Eco Bee Shop, our quality control ensures that the consumer gets real value and the royal jelly is as fresh as the moment it was collected. It is reasonable to expect that royal jelly has similar benefits to humans. Indeed, findings have supported that royal jelly does promote growth general health and well-being. It is one of the richest sources of the B group of vitamins. Its pantothenic acid content is associated with longevity, rejuvenation of cells and the healing of arthritis. It is also rich in amino acid and minerals. At present, 3% of components of royal jelly remain a mystery. This means that as yet, it cannot be analyzed or synthesized. 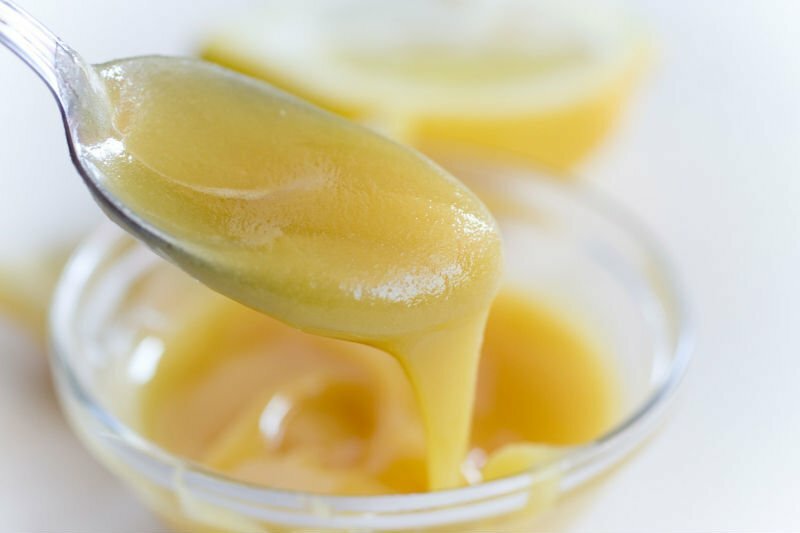 Cell rejuvenation and growth have been attributed to royal jelly, possibly preventing premature ageing. Stamina is gradually built up when it is taken regularly. Royal jelly is also beneficial for ante- and post-natal care and during convalescence. It stops bacteria growth and combats against infections. The 'miracle food' is even known to intensify and improve sexual capability. Royal jelly also aids those who suffer from chronic depression and stress. 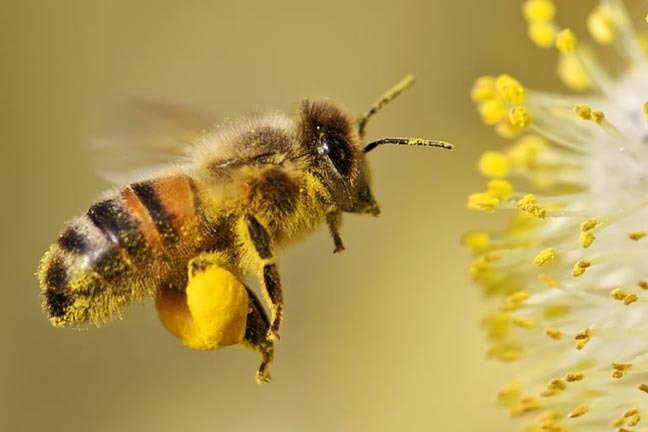 Bee pollen found in the hive is actually the powdery substance produced by the anthers of flowers. It is a splendid source of vitamins, minerals, enzymes and amino acids. It is a recommended food for those who are anaemic and suffer from general weakness. Chronic cough, colds and influenza are also relieved with pollen doses. There are some unknown factors in pollen which researchers believe are responsible in preventing acne, boils and rashes from occurring. For women, bee pollen has been claimed to reduce morning sickness during the early stages of pregnancy. Sportsmen meanwhile, have reported a marked improvement in stamina and vitality from its constant use. 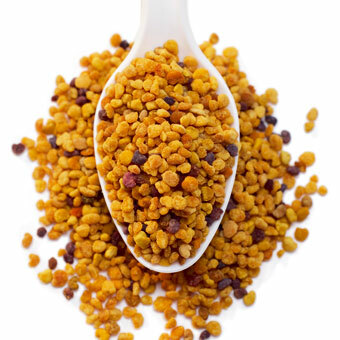 Bee pollen in addition, plays a part in enhancing metabolism, and offsets the effects of toxins, pollutants and drugs. Increased capillary resistance, reduced bleeding time and faster coagulation are further valuable effects of pollen. The efficacy of propolis as a natural antibiotic has been recently rediscovered though its benefits were known to man from the earliest times. 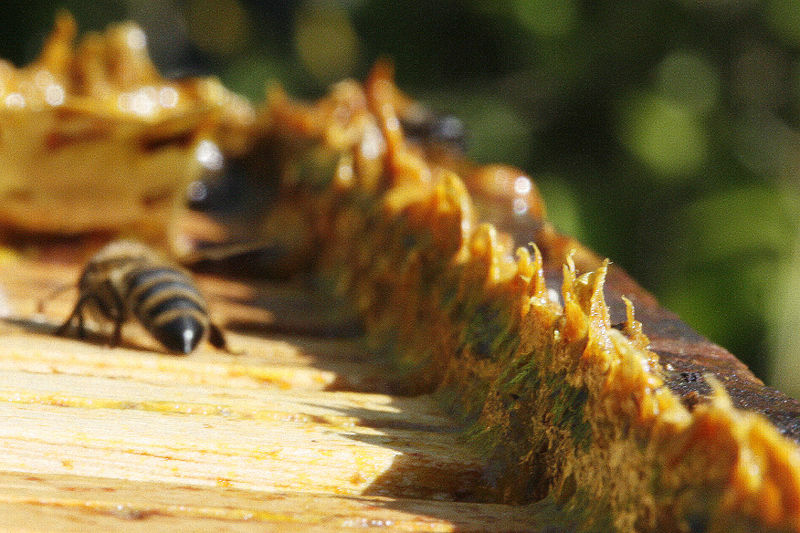 Propolis is a resin-like substance which bees use to line their hives to protect it from diseases and infections. It is gathered from leaf buds and the barks of trees. Its antibiotic properties are believed to come from the bioflavonoids it contains. Also known as vitamin P, bioflavonoids have been found to enhance the effectiveness of vitamin C. Bioflavonoids also act as diuretic and vasodilator, thus proving itself in treating hypertension. This results in a strengthening of the body's defenses against disease and infection. Another disease-fighting capability stems from increased production of a natural protein, interferon, due to the presence of propolis. 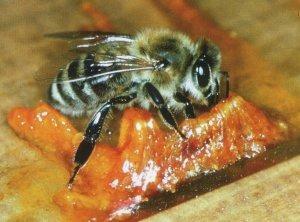 Reports on the direct medical uses of propolis have been collected from all over the world. It has been used especially effectively in the treatment of throat infections. It has also been invaluable in treating gastrointestinal disorders, halitosis (bad breath) and gum diseases. Chronic coughs, asthma and respiratory tract ailments have been cured and recurrences of these illnesses reduced. In addition, propolis is recommended for relieving menstrual pains. In other prepared forms, propolis can be used for burns, acne, outer ear infections and external wounds. Honey, royal jelly, bee pollen and propolis. The natural goodness of all the essential ingredients for healthy living and beauty now brought to you by Eco Bee Shop.